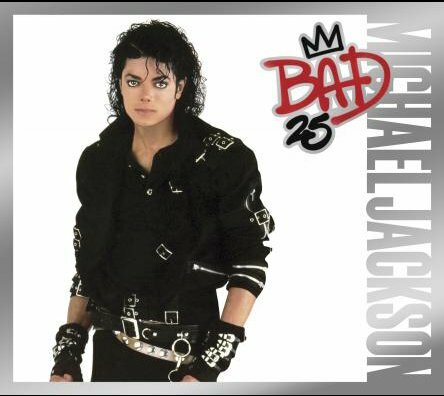 “Bad” is the title track from Michael Jackson’s ‘Bad’ album, released August 31st, 1987 on Epic Records. The song “Bad” reached #1 on the Billboard Hot 100 charts on October 24th, 1987, stayed at the #1 position for two consecutive weeks, and has sold over 8.5 million copies worldwide to date. “Bad” is the second in a string of five consecutive number one hit singles from the multi-platinum album of the same name, and was conceived initially as a duet with Prince. The song “Bad” also marks one of the first appearances of a Michael Jackson signature vocal move frequently referred to as “shamone”. The liner notes of the album officially list this as “come on”. “Bad” was released as a 7” promo single on Epic Records on September 7th, 1987. It was the 2nd single to be released from the ‘Bad’ album. The ‘B’-side of the 7″ promo single is “I Can’t Help It” (4:28). “Bad” was released as a 12” single on Epic Records on September 7th, 1987. The 12″ single includes the songs “Bad – Extended Dance Mix, Includes False Fade” (8:24), and “Bad – 7″ Single Mix” (4:05) on the ‘A’-side; and the songs “Bad – Dance Remix Radio Edit” (4:50), “Bad – Dub Version” (4:05), and “Bad – A Cappella” (3:49) on the ‘B’-side. “Bad” was released as a promotional CD single on Epic Records on September 7th, 1987. The promo CD single includes the songs “Bad – Extended Dance Mix, Includes False Fade” (8:24), “Bad – 7″ Single Mix” (4:05), “Bad – Dance Remix Radio Edit” (4:50), “Bad – Dub Version” (4:05), and “Bad – A Cappella” (3:49). “Bad” - written and composed by Michael Jackson. Michael Jackson: Solo and background vocals. Jimmy Smith: Hammond B3 Midi organ solo. Christopher Currell: Synclavier keyboards, Digital Guitar, Rubba. Rhythm arrangement by Michael Jackson, Christopher Currell and Quincy Jones.